MobileOps Inc., Woodinville, Wash., has recently signed a term contract with Crounse Corporation, Paducah, Ky. Crounse Corporation provides full-service barge transportation as well as harbor and fleeting services. MobileOps said its software will assist Crounse with vessel and safety management, as well as auditing processes. “The MobileOps team is very excited and grateful to have the opportunity to work with such a high caliber company like Crounse Corporation,” said Greg Armfield, vice president-business development. 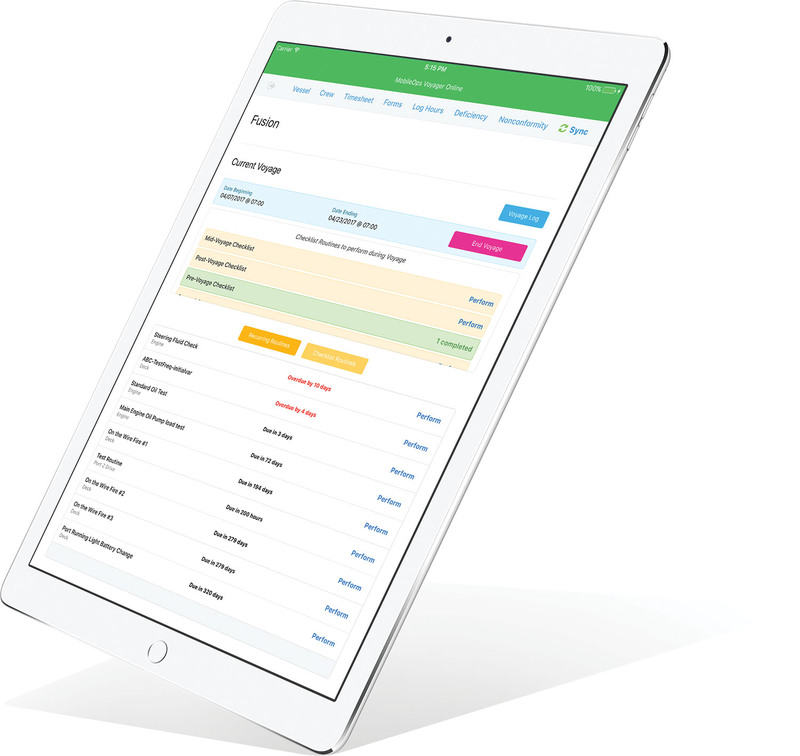 MobileOps is a cloud-based subscription solution that includes vessel management, safety and training, jobs and dispatch, timecards and analytics features. Additionally, MobileOps has an offline-capable app called Voyager. The Voyager app allows data to be input, stored and then synced with the MobileOps platform once a connection is present, allowing for seamless and efficient communications with shoreside personnel. MobileOps Web can be utilized on computers, smartphones and tablets, while Voyager is available on computers and tablets. Caption for photo: MobileOps software to assist Crounse with vessel and safety management, as well as auditing processes.